FixBox Phone Repairs Dunsborough are located in the Naturaliste Forum at 42 Dunn Bay Road, Dunsborough. With a combined total of over 20 years experience in the technology repair industry, the FixBox team know their stuff. 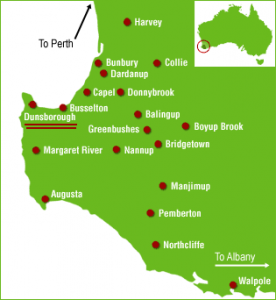 FixBox Phone Repairs Dunsborough are only a 20 minute drive from Busselton. With our Dunsborough location, as well as our FixBox Phone Repairs location in Margaret River, down south residents and visitors can enjoy the convenience of our multiple phone repair locations. Why choose FixBox Phone Repairs Dunsborough? That’s easy to answer. FixBox Phone Repairs Dunsborough use the highest quality screens and parts available. Sourced domestically from our premium wholesale partners, FixBox Phone Repairs have spent years developing a wholesale network of suppliers that provides us with a big advantage on the competition. We buy in bulk so that we can pass on the savings to you, the customer! We are committed to providing Dunsborough with the best prices. We heard you and understand that this was well overdue. Paying hundreds of dollars extra for a quality job is a thing of the past. Don’t stand for it! If you see a better phone or tablet repair price advertised in the south west then FixBox Phone Repairs Dunsborough will beat it! That said, we’re confident our prices will already be cheaper! FixBox Phone Repairs Dunsborough are Dunsborough’s only walk-in walk-out repair store that’s focused solely on mobile device technology. We’re Dunsborough’s mobile device guru’s! If you have an HTC, Samsung, Sony, LG, Google or Nokia phone, then FixBox Phone Repairs Dunsborough will fix it! We also repair tablets such as iPad’s, Samsung Galaxy Tab’s and much more. Another reason to use FixBox is the incredible turnaround speed. Depending on how busy we are at any particular time, phone repairs can be completed within 15 minutes! We also have Eftpos available and provide guarantees on all of our workmanship. Come in and see us with any mobile technology problems and you’ll be amazed with our exceptional service!